If Trunks is manga colored, I'm going to repaint him lol. Manga color is the darker shade color correct? beevee Yes the hair is darker but the jacket is lighter. If they just make the hair metallic like the older Japanese figures sometimes had, I might leave the hair as is. If they're manga colored I'll try and commission a friend to paint the hair for me, he paints Warhammer models and he's really good at color matching and fine detail. 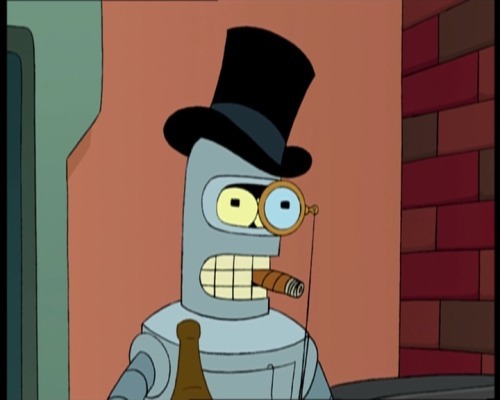 Only thing is he's super busy doing his own things and work, and I'd hate to bother him with it. Either way it goes, I'm picking up two of each. Excellent news. I prefer manga colors. Trunks and Vegeta are the only two I need for a complete collection. 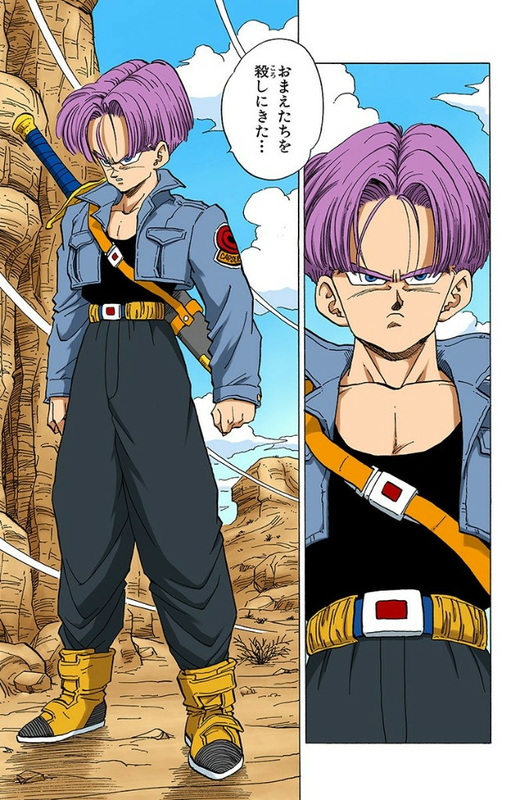 I like Manga Trunks because his jacket looks more like a jean jacket, but the other characters look better with their anime colors to me. Kinda regret not getting SDCC Piccolo when he was only $90. I've never read the color versions of the Manga and can't remember what Vegeta's color scheme was on the covers/spines of the normal volumes. Is there a huge difference between the anime and manga or is it like Goku and Cell where his colors were just dull and less saturated? Could u post a pic of the old metallic figures? Here's a Vegeta figure that had it. Hard to see in the package, but I remember the old Beckett DBZ magazines had a section in the back that showed off Japanese figures along side the Irwin as a sort of collectors checklist or maybe even a catalog to order them. I was never able to get them as kid, but I liked the gold hair versions and there was a gotenks one I wanted so bad. So, if these are "metallic" versions, would it just be for the Super Saiyan hair? Do "metallic" repaints cost more? I'm not sure if it actually costs more if it's just perceived value since it looks fancier, but I imagine it'd be something like this. Not to sound pretentious but a lot of us called Tamashii's bluff on this. 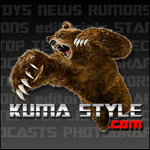 We figured they'd pull something like this to get around their self-imposed "Web Shop Exclusive" rules. Fans have been asking for these figures to be re-released for years, it's brought up at almost every convention that Bluefin/Tamashii show up to, popular bootlegging company Datong was making a mint off their Vegeta boot-legs, Dragon Ball has recently seen a resurgence in popularity and Bandai-Tamashii has just been getting more and more popular as a collectible figure line, etc. etc. But enough of that, this is excellent news and FINALLY they're re-releasing SSJ Vegeta and Trunks. It's about DAMN time. Better late than never! I'll also wager that we might see SSJ3 Goku "Advanced Color" repaint in the near future as well. It's part of how their marketing works, and it's very simple and straightforward point, a limited edition does not get a re-issue, since that would be deceiving of their consumers and would basically mean to shot their self in the leg. As a different edition, that mean a different product and it's how they can re produce an exclusive product mold back to the market. They did the same thing multiple times with their MonsterArts line. I called this out word to word months ago. That said, while the release itself is an exclusive, the mold is not. 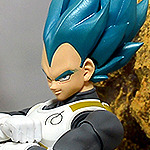 So the mold to be re released as an alternate version\ SDCC repaint is very possible (like with SDCC Vegeta). Trunks\Super Vegeta\SSJ3 Goku are most definitely a primary likelihood that we would see in the following years IMO. Was having this conversation with someone on Facebook and want to know you guys' opinion: What if the "Advanced Color" labeling coming up was a new branding for the shaded-styled coloring that's been used for anime colored figures so far? If i were you, i'd sell them both while the prices are still high. Once the reissues are out the originals will drop in price for sure. The only questions remain are by how much the price will fall and how different the advanced colors are from the ogs. If the advanced colors are significantly different, price on the ogs should fall slightly (and you could always buy them back and still have a little $ from the sale). If the advanced colors aren't so different, expect the og figures to dramatically fall in prices and you could buy them back if you like or just keep the $ on your gain from the sale. It's a gamble either way. If the new colors are horrid, then the price may actually climb on the new ones as I said before. Granted, it's very likely a pretty safe gamble that you can at least recoup some profit selling now and buying them back later.